﻿﻿﻿LETTERS© is an Orton-Gillingham inspired literacy program designed for use at home or in the classroom. ﻿﻿﻿LETTERS© does not require training before the educator or parent can begin using it with their student. The motivation for developing ﻿﻿﻿LETTERS© is to meet the low literacy needs of struggling and reluctant learners ages 9 and older. ﻿﻿﻿LETTERS© is a wonderful literacy program for Kindergarten through grade 2. The lessons have been designed to build confidence and self-esteem through relevant facts and information which can be used in conversations with peers and adults. Learners discover the core concepts of the English language through a low-level/high-interest format. 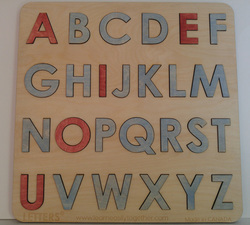 LETTERS© products and resources are intended to be used in one-to-one, homeschool, or classroom teaching environments. Each book is available in a combination of Line Art (BW) for those budding artists who love to colour and In Colour (VIB) for those who want to appreciate the pictures the way the artist chose to create them. LETTERS© has designed and developed multisensory resource kits. LETTERS© has designed and developed hands-on resources. LETTERS© Letter Roads. Available in Line Art. LETTERS© Letter Roads. Available In Colour. ﻿﻿﻿LETTERS© Puzzle Boards are an excellent hands-on resource for learners of any age. - create Pangrams; inspire learners to form words using all the letters on the board. Give instructions to use each letter only once or to form a meaningful sentence or a nonsensical sentence. - play Letter Square; set out letters and have learners find all the words which can be formed using the letters provided. Learners would then print the words in a list. For additional enrichment have the learners put the words into alphabetical order or word categories. These hands-on activities enhance cognitive skills such as logic and reasoning while reinforcing vocabulary and printing skills. LETTERS© Uppercase Puzzle Board. Made in CANADA. Non-toxic. 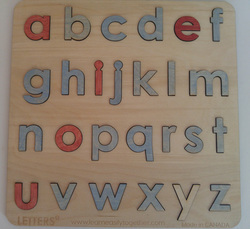 LETTERS© Lowercase Puzzle Board. Made in CANADA. Non-toxic. -create Pangrams; use LETTERS© Magnetic Alphabet in addition to a dry-erase marker to form words using as many magnetic letters as possible and filling in the missing letters with the dry-erase marker. -create Alphabetical Order Fun with Code messages. Develop a code, print the code on the Dry-Erase Magnet Board using a dry-erase marker, and have your students solve the code. They could use a combination of LETTERS© magnetic letters and a dry-erase marker. -teach placement of vowels, vowel or consonant teams, rhyme families, suffixes and prefixes, and much, much more! ​These hands-on activities reinforcing vocabulary and printing skills while learners practice concepts they have discovered in their literacy lessons. LETTERS© Dry-Erase Magnet Board. Shown here with LETTERS© Uppercase Magnetic Alphabet. Both items sold separately. Also available for purchase as a set. LETTERS© Lowercase Magnetic Alphabet. Both items sold separately. Also available for purchase as a set. LETTERS© Magnetic Sentence Pack. Shown here with LETTERS© Dry-Erase Magnet Board. Both items sold separately. Also available for purchase as a set. LETTERS© Dry-Erase Sheet Protector. 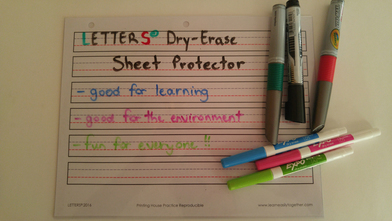 One (1) Dry-Erase Sheet Protector is included in LETTERS© Lesson 2: Alphabet. Dry-Erase markers are shown for display purposes only. LETTERS© Symbols for Sounds Educator's Guide with Lessons brings all of LETTERS© ​curriculum together in lesson format suitable for use at home or in the classroom. or contact us about LETTERS© products.